For this edition of Tasty Tuesday, I visited Pisco Mar, located on the second floor of 2502 Hillsborough Street (the door is next to the Shanghai Express entrance). Pisco Mar is new to the district this year and offers an authentic Peruvian food experience at a reasonable price. 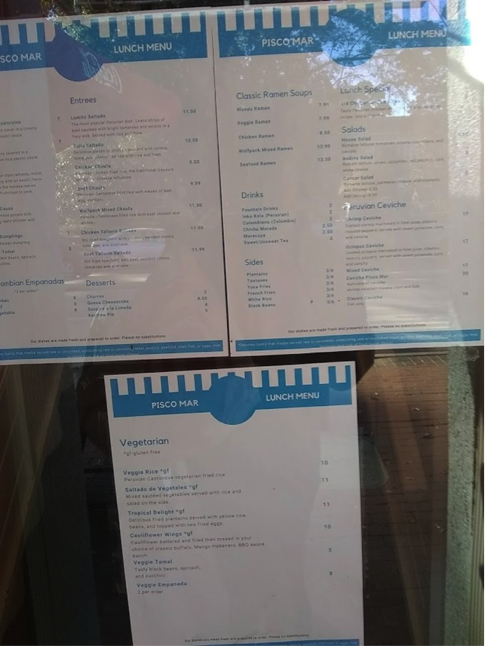 The menu is on the door with a sign of specials hanging next to it. Upon opening the door of Pisco Mar, you see decorations and a set of stairs that lead you to a cozy dining area. I was greeted by friendly staff and upbeat music playing in the background, which added to the jovial nature of the restaurant. 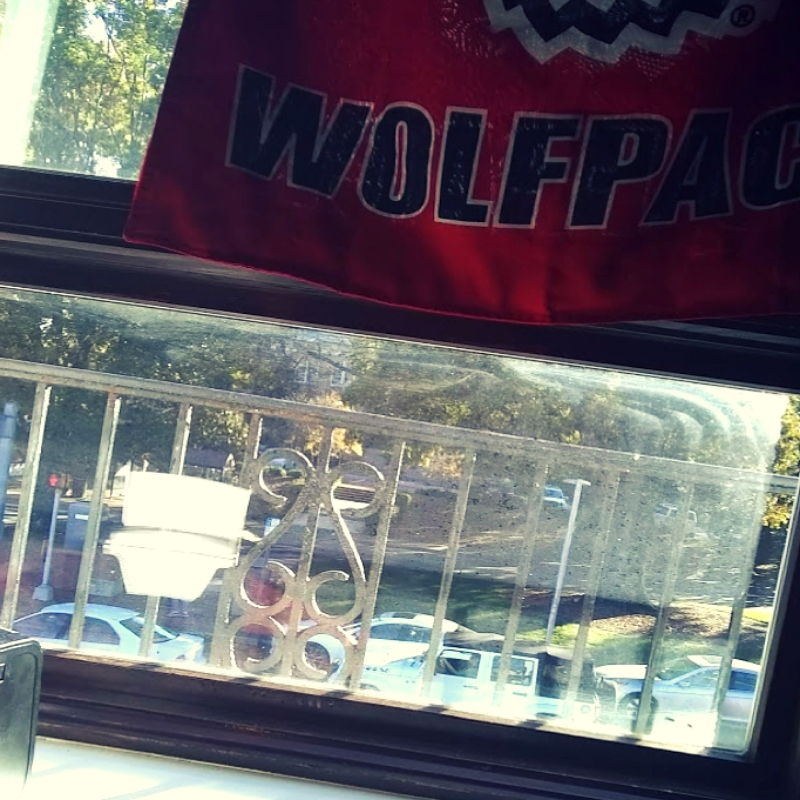 One perk of it being on the second floor was the window seating where you can look out and see the happenings Hillsborough street while enjoying your food. The standout of the experience was by far the food. There were many diverse options including various vegetarian items. 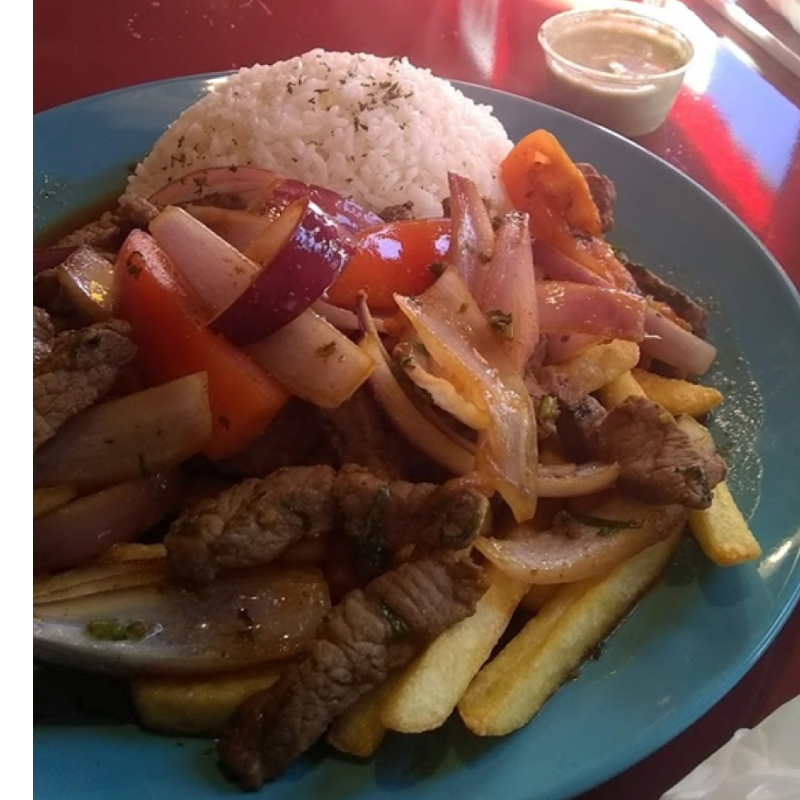 I, having never eaten Peruvian food, ordered the lomito saltado, which was seasoned beef and peppers over fries with rice and green sauce. They give you an ample portion, so even thought I wanted to finish it because it was delicious, I had leftovers for the next day. So next time you're looking for something new to try, head over to Pisco Mar and have a delicious dining experience you won't soon forget. If you’re like me, they will have you planning your next trip before you leave.